In 1961, a solo exhibition by Argentine-Italian artist Lucio Fontana met with a scathing critical response from New York art critics. Fontana (1899--1968), well known in Europe for his series of slashed monochrome paintings, offered New York ten canvases slashed and punctured, thickly painted in luridly brilliant hues and embellished with chunks of colored glass. One critic described the work as "halfway between constructivism and costume jewelry," unwittingly putting his finger on the contradiction at the heart of these paintings and much of Fontana's work: the cut canvases suggest avant-garde iconoclasm, but the glittery ornamentation evokes outmoded forms of kitsch. 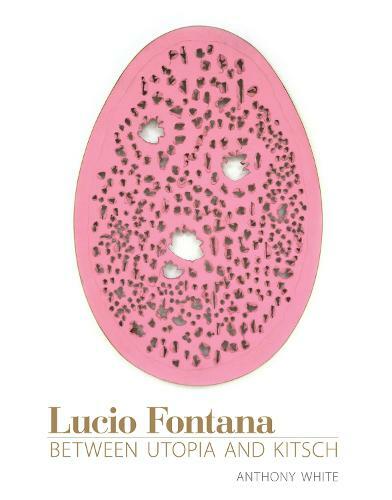 In Lucio Fontana, Anthony White examines a selection of the artist's work from the 1930s to the 1960s, arguing that Fontana attacked the idealism of twentieth-century art by marrying modernist aesthetics to industrialized mass culture, and attacked modernism's purity in a way that anticipated both pop art and postmodernism. Fontana painted expressionist and abstract sculptures in the pinks and golds of mass-produced knick-knacks, saturated architectural installations with fluorescent paint and ultraviolet light, and encrusted candy-colored monochrome canvases with glitter. In doing so, White argues, he challenged Clement Greenberg's dictum that avant-garde and kitsch are diametrically opposed. Relating Fontana's art to the political and social context in which he worked, White shows how Fontana used the materials and techniques of mass culture to comment on the fate of the avant-garde under Italian fascism and the postwar "economic miracle." At a time when Fontana's work is commanding record prices, this new interpretation of the work assures that it has unprecedented critical relevance.